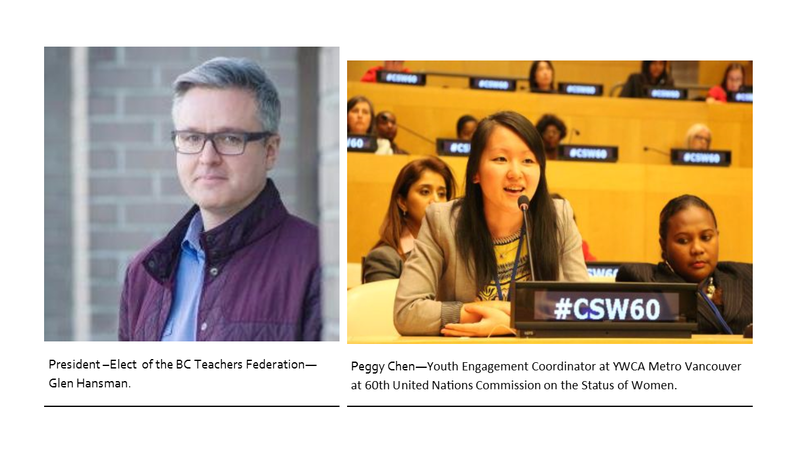 16:15 min mark – Peggy Chen – Youth Engagement Coordinator at YWCA Metro Vancouver who was a youth delegate at 60th UN Commission on the Status of Women. You can read her submission here. 30:00 min mark – Glen Hansman President-Elect of the BC Teachers Federation in conversation.